This beautifully decorated home is large enough for wedding groups and family get-togethers. 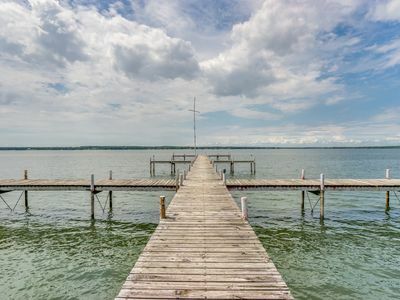 It is situated on two lots directly on the lake. The home has a open concept floorpan and sleeps between 8-13 (8 adults max). There is a large dining table indoors and for family meals or parties. The home has just about floor-to-ceiling windows along the whole back of the house both upstairs and downstairs to never miss a view of the lake! Upstairs there is a game room with a 70inch TV and an 8 ft pool table. There is also an beverage refrigerator and a 3.5cf freezer upstairs for extra storage. Along the back of the house, is a huge deck with ample space for entertaining that includes sectional seating, rocking chairs, a dining table, grill and pergola with bar and fire pit. The jetski will be available from April 1-Thanksgiving weekend each year (dependent on lake conditions). Lots of memories to be made with family and friends!! New, Upscale living quarters with one bedroom, king bed with luxurious bedding, full bathroom, completely equipped kitchen with stainless appliances and granite countertops, den with flat screen TV, DVD, wifi, private porch, amazing sunsets overlooking horse farm and surrounding horse farms. 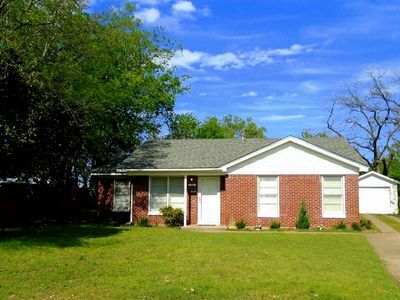 Located one mile from Lake Weatherford, 10 minutes from downtown Weatherford, 30 minutes from downtown Fort Worth. Enjoy time on the lake with panoramic views. Down the street from the Brooks wedding venue it's a great place to relax and unwind during a wedding weekend. 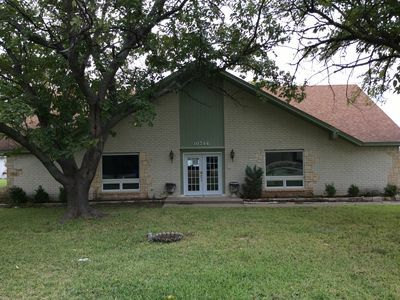 Located directly across the street from Quanah Hill Mountain Bike & Hike trail. Relax on the 300 square foot deck and swim and boat on the lake or hike across the street. 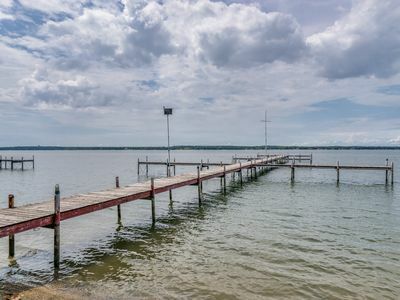 Brand new dock with boat lift available. New AC/Heater installed August 2018. Sleeps 8: Master Bedroom - King Sized bed Guest Room - Queen Sized bed Kids Room - 4 twins (2 bunk beds) House Features: Fireplace (wood burning) Outdoor Grill Roku/Netflix TV Bluray DVD Player Kayak Life jackets (from toddler to XL sizes) High Speed Wifi Washer & Dryer (full sized) Panoramic 300 square foot deck Open Kitchen (overlooks dining, living room, and the lake!) Pocket Door (separates living from sleeping areas) Nearby Amenities: The Brooks at Weatherford wedding venue - Quanah Hill Hike and Bike Trails (directly across the street ) - Lake Weatherford Marina - - Boat Ramp, Sand Volleyball, Crappie House Splash Kingdom Water Park - Disk Golf Course - City Lights Movie Theatre Walmart Super Center Downtown Weatherford - 10 minutes away Nearby Dining: Palios Pizza Boo Rays Fish Creek Blu Jasmine Malt Shop Activities to do while at the lake: fishing swimming boating hiking bikinng volleyball relaxing! 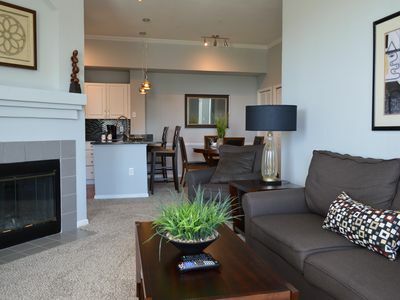 Relaxing, modern, Perfect for a weekend getaway to the country or an extended stay, Wi-fi and Cable provided! We are 30 miles west of Fort Worth and 5 miles north of historic Weatherford. The cottage sits on 120 acres and has a larger cottage nearby. There are vaulted ceilings throughout, and large covered porches on three sides. The porch is the perfect place to relax and enjoy nature. There is one bedroom with a queen sized bed and one full bath, and a fully equipped kitchen. Very inviting tiny home!! The nearby cottage is Listing #4057517 and we offer a discount when renting both cottages. We welcome extended stays and are available on-site, upon request, to assure your comfort. If you have any questions, please call Juretta at (817) 360-6746. We offer a fire pit and BBQ grill, and our pool is available upon request. Use of the pool is at your own risk. NO SMOKING IS ALLOWED INSIDE THE RENTAL. Gorgeous Mediterranean house offers 13 acres of complete privacy, beautiful views, and lots of space throughout this 6000 sq ft house. 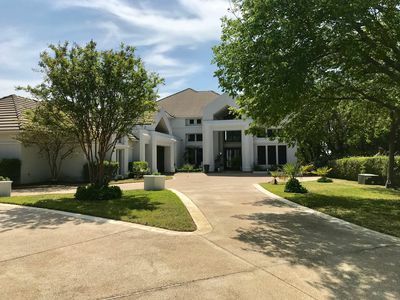 Complete with 9 bedrooms, 2 kitchens, 2 living areas, 3 1/2 baths and a game room that comes with pool table, ping pong table, large TV and a massive patio area where you can sit and view the 3 acre pond and huge display of oak trees. 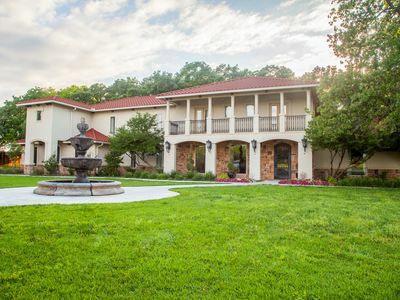 We are located conveniently off Interstate 20 in Weatherford, Texas just a short drive from Downtown Fort Worth!Behind private gates, this spectacular home is an entertainers dream! It is equipped with 9 bedrooms, Wifi, central air, and is comfortably furnished. Twinkling tree lights illuminate the space and encourage guests to relax, unwind and enjoy the outdoor space! This home is fantastic for multiple groups (vacation or business) or large families because of the many individual beds that we offer. Here you can relax from the bustle of the city and sleep in comfort while you travel. STUNNING! Country Cottage 5 Miles North Of Weatherford, feels like Home! Come to the country and relax! We are 30 miles from Fort Worth and Granbury, 15 miles from Springtown and 50 miles from Glen Rose. Wi-Fi and Cable provided! 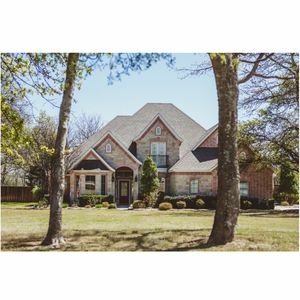 Less than 10 minutes from historic Weatherford which offers wonderful antique shops and restaurants, or you can visit Chandor Gardens, Sweet Spring Winery, Canyon West Golf Club or The Texas Opry Theater, just to name a few. The cottage is 1,000 square feet and sits on 120 acres with many nature trails. Enjoy the patio with fire pit and the abundant wildlife sightseeing. The kitchen is fully equipped and the cottage has 2 bedrooms with queen size beds in both bedrooms. There are 1 and a half baths and an electric fireplace. There is plenty of parking space for a livestock trailer if you are coming in for the rodeo or stock shows. We provide high quality service and will do everything possible to make your stay enjoyable and relaxing. Please call me should you have any questions. Pool available upon request and use of the pool is at your own risk. NO SMOKING INSIDE THE COTTAGE. The Harvester Cottage is located near Listing #4572960. A charming, 1-bedroom guest suite on 10 acres in the country, this 650 square foot garage apartment was completed in 2016. It has it's own entrance and balcony access, full kitchen and bath, 1 bedroom with a king-sized bed, living area, built-in breakfast nook, pantry and kids' secret room. Washer and dryer is available upon request. Beautiful hardwood floors, marble countertops and antique pieces throughout give this space a cozy, clean and farmhouse feel. The owner is a Fixer Upper/Magnolia fan and this space reflects that aesthetic. Technology is avoided but we do have internet access. 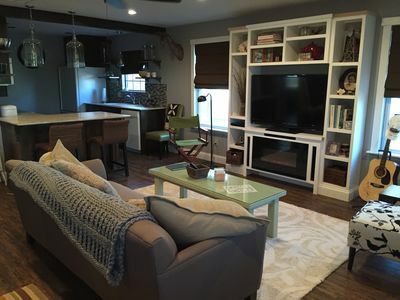 There is no TV in the main living area - the kids' secret room, however, has a 45" smart tv with built-in bench seating, Netflix, blue-ray DVD player, kids movies and toys. We also have several twin blow-up air mattresses. We are located close to Aledo, Texas and are a short drive from the following attractions: Downtown Fort Worth/Sundance Square - 23 minutes Texas Christian University - 23 minutes Aledo Football - 10 minutes Fort Worth Stock Show and Rodeo - 20 minutes Texas Motor Speedway - 47 minutes Six Flags Over Texas - 37 minutes *Please note that although the bedroom has window coverings, the kitchen/living area does not. **Several folks have asked about long-term stays (month+) and if we offer discounts. We are open to this but it’s not our goal. Our monthly rate is a firm $3,375 (25% off our normal rate). ***Our neighbors have added 2 adorable (but sometimes loud) blue tick hounds to their family. They are outdoor dogs and bark at anything that threatens their livestock (unfortunately, they are still puppies and have a hard time distinguishing that coyotes are a threat while squirrels are not). Our neighbors are awesome folks and have agreed to lock up their hounds whenever we have guests but we can’t guarantee that you won’t hear them. Please be forewarned before booking the space that you may hear them howling or barking. The coyotes can sometimes get pretty loud too. COUNTRY CHARM! 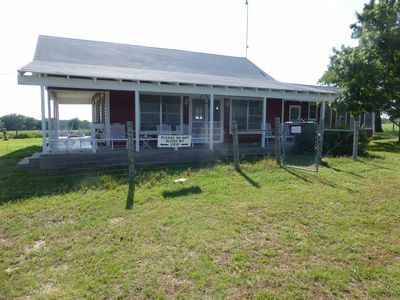 Lone Pine Cabin is located 30 miles west of Fort Worth and approximately 3 miles north of Weatherford off Highway 51. The upscale cabin has 550 square feet in the main living space and 2 lofts with a king size mattresses in each loft. We can accommodate up to 6 quests for $25 a night additional expense for more than 2 guests, and this must be approved in advance. We also allow a pet, but this must also be approved in advance. The cabin is located near the main house and has a patio with BBQ grill and fire pit overlooking the pond. The cabin is fully furnished with a full size kitchen. There is a large TV in the living room with Cable, Wi-Fi, and DVD player. The bedroom downstairs has a queen size bed with luxurious, clean linens. There is a full bath with bathtub/shower. NO SMOKING IS ALLOWED INSIDE THE HOUSE BUT IS ALLOWED OUTSIDE. We are available on-site, upon request, to assure your comfort, but we also respect your privacy during your stay. We welcome extended stays and offer a discounts for stays over 6 nights. Early check-in and late check-out is based on rental activity and can be confirmed within a few days of the rental. Close your eyes and envision a 4000 sq feet upgraded home sitting on 1 acre. A home perfect for most any one person or large family. Resort like backyard with a pristine pool, spa, fire pit, trampoline, tree swings and lots of grass area. Two covered porches with accommodating patio seating-one upstairs and one downstairs. 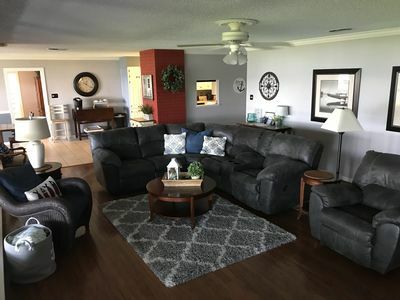 Inviting family room with deep seating leather couches, 70 inch tv, surround sound built in speakers adjacent to a beautiful chefs style open kitchen. Large rustic kitchen table with seating for 6 as well as a dinning room suitable for 8. Master bedroom on the 1st floor with a large walk in closet, jetted tub and king bed. 1st floor also has a ready office with a desk, chair and printer. 2nd floor has 2 queen bedrooms with adjoining full bathrooms, 3rd bedroom has a king bed. Large bonus room geared with a large tv, couches and room for a blowup mattress. Outdoor 2nd patio area off of the upstairs couch room. Parking can accommodate large vehicles or trailers if requested. Home is about 10 minutes the Lake in Weatherford. Our ranch is located approximately 8 miles north of Weatherford (Parker County). The guest house is 600 square feet offering clean, comfortable accommodations for a single traveler or a couple. We can also accommodate 1-2 children, but this must be approved in advance. There is a loft with a king sized mattress but the loft is not suitable for small children. The guest house is located near the main house and has a large porch, swimming pool, fire pit, BBQ grill and outdoor TV with Direct TV. 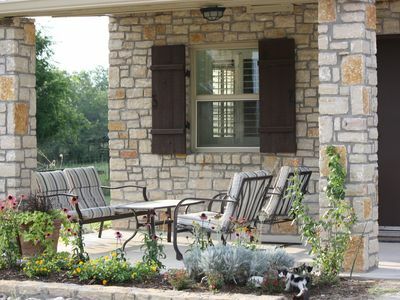 The porch is the perfect space for relaxing with a book and enjoying nature or watching a game on the outdoor TV. The guest house is fully furnished with central heat/air, large TVs in the living room and bedroom with Direct TV, DVD player, free wifi, a small refrigerator, microwave and coffee maker. There are lots of windows with beautiful views of the ranch and cattle. The bedroom has a king sized bed with nice linens and ceiling fan. The kitchen is equipped with a 2 burner stove, toaster oven and everything needed to cook small meals and grill. The guest house has a clean bathroom with a modern full glass shower and fresh towels. (No smoking is allowed inside the house and all guests use the pool at their own risk.) We are available on-site, upon request, to assure your comfort, but we also respect your privacy during your stay. 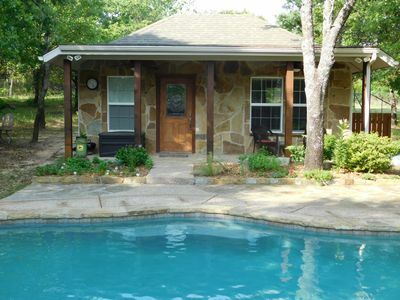 The ranch is a beautiful setting with 2 fishing ponds and 130 acres. There are lots of hiking trails and abundant wildlife including whitetail deer, turkey and pigs. We are 30 miles from Fort Worth and Granbury, 15 miles from Springtown and 50 miles from Glen Rose. We are less than 10 minutes from historic Weatherford which offers many shops, antiques, restaurants and a winery. We welcome extended stays. Listing #4490506 is also located on the ranch. Should you have any questions, please call Jamee at (806) 773-4851. Charming renovated dairy barn with amazing pastoral views. The Barn has been lovingly renovated and has lots of family history ... our family began the dairy here in 1929. 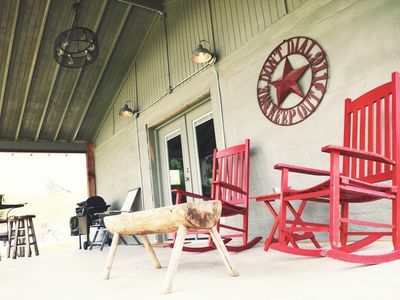 The Barn is located on 130 private acres 8 miles north of Weatherford (Parker County). This unique guest house exudes character and is furnished with every modern convenience. The Barn is a place where you will immediately feel at home, and by the time you leave, you'll feel you've made some new and treasured friends. It's a peaceful get-away where you can get in tune with the sounds of nature ... listen for the sounds of coyotes, wild turkey, birds and lots of momma cows with their babies. The guest house is 800 square feet offering clean, comfortable accommodations for a single traveler or a couple. We can also accommodate 1-2 children, but this will need to be approved in advance. The Barn is located near the main house and another small guest house. It has a large porch, private pool, hot tub, outdoor fireplace and BBQ grill. The porch is the perfect place for relaxing with a book and enjoying the outdoors. The Barn is fully furnished with central heat/air, large TVs in the living room and bedroom with Direct TV and free wifi. There is a full kitchen and full bath with large soaking tub. NO SMOKING IS ALLOWED INSIDE THE HOUSE AND SWIMMING IS AT YOUR OWN RISK. We are available on-site, upon request, to assure your comfort, but we also respect your privacy during your stay. The ranch is a beautiful setting with 2 fishing ponds. There are lots of hiking trails and abundant wildlife including whitetail deer, turkey and pigs. We are 30 miles from Fort Worth and Granbury, 15 miles from Springtown and 50 miles from Glen Rose. 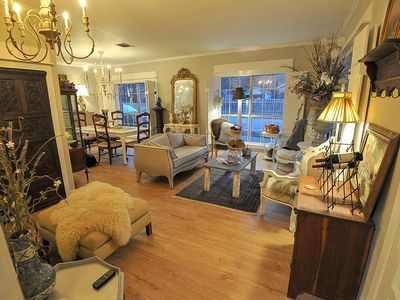 We are less than 10 minutes from historic Weatherford which offers many shops, antiques, restaurants and a local winery. We welcome extended stays. Listing #4065591 is also located on the ranch. Should you have any questions, please call Jamee at (806) 773-4851. A 1900's private, upscale 1,600 square foot bungalow with 3 bedrooms and 2 full baths (one with a whirlpool tub) that can sleep 5 people. Once you walk in the door, you will feel "at home away from home". It is furnished with gorgeous antiques, comfortable beds and luxurious linens. It has a completely-equipped full kitchen and laundry room with a washer and dryer. The beautiful, fenced backyard offers an attractive landscape of flower gardens and rock pathways. $10.00 breakfast vouchers per guest per night's stay are included to Whistle Hill's Downtown Café on Weatherford's historic square. If they are not needed, we are happy to lower the number of breakfast vouchers not needed. Free wi-fi is included as well as satellite TV. 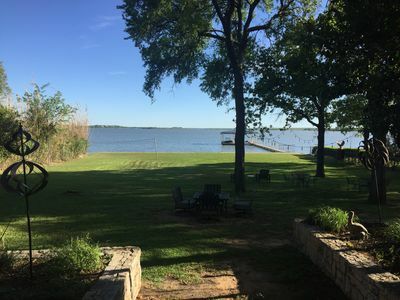 Located approximately 40 miles west of Fort Worth in scenic northwest Parker County (Weatherford, TX- recently voted "best place to retire" in Southern Living magazine.) The guesthouse is a 600 square foot, one room offering comfortable accommodations for a single traveler or couple. There is a queen size bed (linens provided) with room for a blow up mattress (provided) to accommodate up to two more guests. Families welcome. There is satellite tv and DVD player. The guest house has a full size kitchen with stove, microwave, full size refrigerator, coffee pot and a filtered water system. There is a large bathroom with tiled standup shower. The guesthouse has a relaxing porch overlooking an in-ground 5 foot deep pool. All guests swim at their own risk. For a relaxing night there is a fire pit, small charcoal and gas grill, and a serenity garden. Enjoy the great outdoors with nature trails, bird watching, availability to feed Texas longhorns and a miniature donkey. You can also gather fresh eggs for your breakfast. You are welcome to walk around the 200 acres that surround the property. Camping spots available as well. Homemade meals available for additional charge. If interested ask for details. 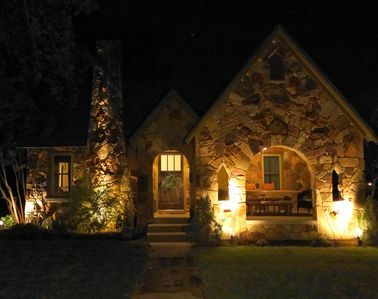 12 miles from historic Weatherford which offers many restaurants and shopping. 15 minutes from Weatherford's newest family outdoor adventure- Quanah Hill Mountain bike trail and hiking trail. 45 miles from Texas motor speedway and 60 miles from Dfw airport. Minimum age requirement- 21 years or older. Early check-in and late check-out is based on rental activity and can be confirmed within a few days of the rental. Cantrell's Corner looks as though it were just styled and decorated for a photo shoot. The beautifully restored home now boasts a French Farm House design and offers the perfect blend of antiques and refinished furniture. It has a Gustavian style throughout the home, which is influenced by French design and is seen by the pastel gray, white and cream colors in the decor, painted furniture, bleached woods and chandeliers. It is the perfect combination of elegance and rustic appeal. Records show that the home has been here since 1880, but has had many updates. The most recent being a complete overhaul in 2015. It now has top-of-the-line Viking appliances in a completely new kitchen, a stunning Sherle Wagner pink marbled sink in the new half bath, an 18th century French cupboard, just to name a few things. The back yard has just been overhauled and now has flagstone walkways, a 19th century hand-carved from Texas limestone well gas firepit, antique ironwork pillars. This home has been featured in the Weatherford Tour of Homes, and has been a feature in multiple magazines. Weatherford has so many things to boast about, and our palate appreciates the dining! There are many wonderful places to tickle your tastebuds right around the corner. If you are in the mood for some fantastic, authentic Italian food, try Zeno's on the Square! Interested in more casual, yet unusual burgers? Shep's is the place to be! Want to just hang out and enjoy life? Try Antebellum Ale House! There are so many options in Weatherford! 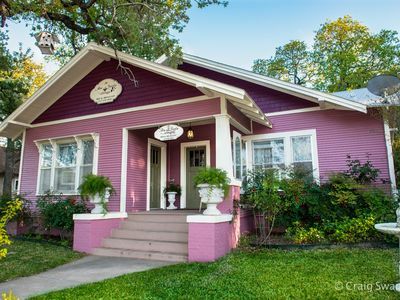 We are only a few blocks from Chandor Gardens and Cherry Park, and within walking distance of Weatherford Downtown Square, which features many fabulous restaurants, antiques and boutiques. Weatherford offers numerous attractions! But also, we are only 25 minutes to Downtown Ft. Worth! Newly remodeled 2500 Sq Ft, 4 BR, 3 bath home with a very tropical backyard with pool. In a great neighborhood close to everything Weatherford has to offer. 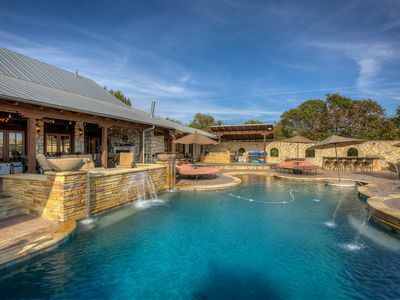 Only 25 minutes from downtown Fort Worth and Will Rogers Equestrian facilities. Hardwood floors, great bathrooms and an outdoor living space. 3 Queen beds, 1 Twin bed, Queen sofa sleeper, 3 living areas, 4 TV's and all necessities. Sound system and equipment, Manicured yard. Plenty of parking for trucks and trailers. You won't be disappointed. Stay in our guest house with it's own private drive. Our house has private access code on the front door and lighted drive. The living room has a pull out sofa with a full size mattress and 2 twin additional mattress to pull out on the floor. There is a TV with DVDs and player and bookshelf with books. Also, has a private bedroom with a queen bed and nightstands. It includes a full kitchen with fridge, stove, microwave, sink, dishes, and coffee pot. Comes with a full bathroom with shampoo, conditioner, soap, towels, mat, and wash clothes provided. We also have goats, donkeys, dogs, and cats all on property who love attention. You are welcome to use our pool and hot tub, but quiet hours are from 9 pm to 9 am. Pool is for guests staying at the house only! 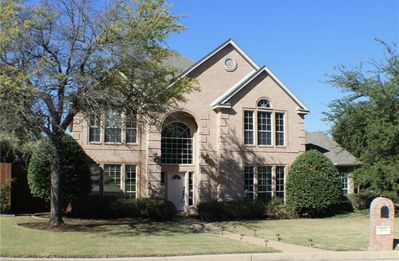 Spectacular Waterfront Lake House 8 Miles NW of Downtown Fort Worth! It's a delightful visit in this condo on the lake. The beautiful furnishing and design complete the scenic lake stay. Walk to the water and cook steaks on the grill as your kids play in the lake. Kayaking is also available along with an array of other water toys found in the wet storage room. Jet skis and water trampoline available for an additional charge. Small crated pets are welcome in this room for a small fee. This listing includes the following: 1 Bedroom/1Bathroom unit, featuring a queen sized bed and two twin beds, and a full bathroom with a shower/bathtub combo. A single cot and hide-a-way mattress are also available if needed. 4 people can comfortably sleep in this room, with the potential of accommodating 6 people. A small refrigerator and microwave are included. Small crated dogs are welcome for an additional $50. If you have more people in your group and need more space, we have options! The units are locked off and have private outside locked entries. (Much like a hotel room) If you'd like to book more than one room, we can give you access to the other rooms so that you are connected. Feel free to inquire for questions. Water Rentals: Water toys and items in the wet storage room are available to all guests at no additional charge. We only ask that the items are reserved so that they can be enjoyed by all. Items included in the wet storage room at NO additional charge: -life jackets in various sizes -large raft that will seat 5-8 people -multiple child sized rafts and floats -2 kayaks and oars -body boards Items that can be rented for an additional charge: -Water trampoline- $25/day (must reserve in advance) -Jet Ski Option 1: Reserve 2 jet skis for $300 for 3 hours (9-12) (12-3) (3-6) -Jet Ski Option 2: Reserve 1 jet ski for $200 for 3 hours (9-12) (12-3) (3-6) Let us know if you have any questions! We are happy to accommodate in any way that we can. It's a delightful visit in this condo on the lake. The beautiful furnishing and design throughout the home complete the scenic lake stay. Walk to the water and cook steaks on the grill as your kids play in the lake. Kayaking is also available along with an array of other water toys found in the wet storage room. Jet skis and water trampoline available for an additional charge. No pets are allowed here, but small crated pets are welcome in one of our other units. Inquire if interested! 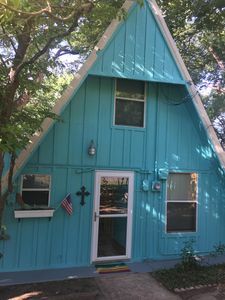 This listing includes the following: 1 Bedroom loft/1.5 Bathroom featuring a loft with a queen sized bed and a "Child-sized Closet Converted Bed Nook" that will sleep 2 small children or 1 older child. The bedroom loft contains a full bathroom with a shower bath tub combo. A lovely private outdoor patio and entertaining area is accessible from the loft. Also included is a living room with an additional private patio, full kitchen, and dining area. A half bathroom is located on this floor, as well as the option of pulling the couch out into an additional full sized bed. A washer and dryer is potentially available if needed (please ask to be sure). 3 single cots are also available. 5-6 people can readily sleep in these rooms, with the potential of accommodating 9 people. If you have more people in your group and need more space, we have options! The units are locked off and have private outside locked entries. (Much like a hotel room) If you'd like to book more than one room, we can give you access to the other rooms so that you are connected. Feel free to inquire for questions. Water Rentals: Water toys and items in the wet storage room are available to all guests at no additional charge. We only ask that the items are reserved so that they can be enjoyed by all. Items included in the wet storage room at NO additional charge: -life jackets in various sizes -large raft that will seat 5-8 people -multiple child sized rafts and floats -2 kayaks and oars -body boards Items that can be rented for an additional charge: -Water trampoline- $25/day (must reserve in advance) -Jet Ski Option 1: Reserve 2 jet skis for $300 for 3 hours (9-12) (12-3) (3-6) -Jet Ski Option 2: Reserve 1 jet ski for $200 for 3 hours (9-12) (12-3) (3-6) Let us know if you have any questions! We are happy to accommodate in any way that we can. It's a delightful visit in this condo on the lake. The beautiful furnishing and design completes the scenic lake stay. Walk to the water and cook steaks on the grill as your kids play in the lake. Kayaking is also available along with an array of other water toys found in the wet storage room. Jet skis and water trampoline available for an additional charge. This listing is for a single unit that is a 1 Bedroom/1Bathroom with a private access. There is a queen sized bed and full bathroom with a shower. A small refrigerator and microwave is available in the room. A single cot is also available if needed. 2 people can comfortably sleep in this room, with the potential of accommodating 3 people. NO pets allowed in this room. We have a pet friendly unit available if you have pets. If you have more people in your group and need more space, we have options! The units are locked off and have private outside locked entries. (Much like a hotel room) If you'd like to book more than one room, we can give you access to the other rooms so that you are connected. Feel free to inquire for questions. Water Rentals: Water toys and items in the wet storage room are available to all guests at no additional charge. We only ask that the items are reserved so that they can be enjoyed by all. Items included in the wet storage room at NO additional charge: -life jackets in various sizes -large raft that will seat 5-8 people -multiple child sized rafts and floats -2 kayaks and oars -body boards Items that can be rented for an additional charge: -Water trampoline- $25/day (must reserve in advance) -Jet Ski Option 1: Reserve 2 jet skis for $300 for 3 hours (9-12) (12-3) (3-6) -Jet Ski Option 2: Reserve 1 jet ski for $200 for 3 hours (9-12) (12-3) (3-6) Let us know if you have any questions! We are happy to accommodate in any way that we can. Our fun lake cottage sits right on the shores of Lake Worth with it's own, private boat dock and beautiful, serene lake views. It is completely updated and roomy with two bedrooms, two baths, a sunny reading room and a bonus seating area off the master bedroom. 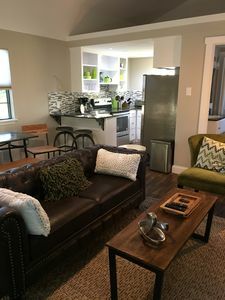 It has a king and a queen bed in separate bedrooms, two twin beds in the master bonus area and extra sleeping space on the reading room futon and living room couch. Two flatscreen TVs, the one in the living room is LARGE with a breakfast bar and a combined, open concept dining area. It has a full kitchen with coffee maker, microwave, oven and gas stove. Wireless internet and Direct TV. It also has full washer and dryers. Our lake home is unique in its cozy lake view. It is tucked away on the shores of Lake Worth with two private patios and large trees covering the back yard. 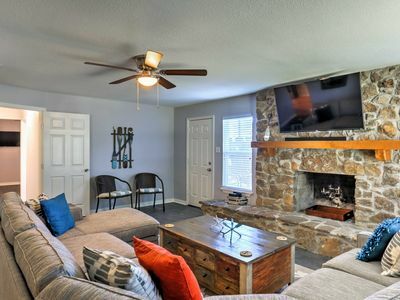 It is perfect for a quick relaxing getaway, a longer business stay, group gatherings, students, TCU/UTA or other area college students and parents visiting their students or visiting the local collages, attending school or summer school! We also host participants in our lake's many fishing competitions as well as Regattas and other competitions with our Sail Boat Club! Also has been great for people coming in for Cowboy and Ranger games or any game day weekends! We also welcome all of our cowboys coming in for the cutting horse events at Will Rogers- we have had futurity, summer spectacular, super stakes as well as world horse show competitors come stay. All sports fans and competitors welcome. A wonderful spot for people coming for work in the area- close enough to get anywhere quickly yet a place to relax and feel like you are on vacation at home. Perfect for traveling nurses or any other long term business stay. We have a group from California that returns to stay every year! 5 min. from restaurants, workout areas, mountain biking, hiking, paddle boarding, movie theatre, grocery stores, Care Now, Walmart or any other quick shopping or food. 15 min. from Stockyards and Fort Worth's famous Cow Town. 20 min. from TCU, Downtown Fort Worth, 7th Street nightlife, Sundance Square, Bass Hall, Museum District, Botanical Gardens, Will Rogers Coliseum. 30 min. from DFW Airport, Texas Motor Speedway, Ranger games and Cowboy Stadium. Short or long stays welcome! Great fishing spot as well! Fish from your own back yard, off your private dock, take a refreshing jump in the water, relax in a tube on the water or just sit and relax. You can also bring your own boat and dock it right in your own private dock, 20 steps from your home. Everyone who loves life is welcome, so come enjoy our beautiful abode! The lake is calling and I must go! A few insider tips for our guests!!!! Our little lake neighborhood has some really cool local spots to visit! Here are just a few of our favorite hole in the wall hot spots and fun things to do: 1- Navajo Burger- at the Shell gas station one minute away and walking distance - best damn burger in town! This was the original Tommy Burger and is famous in these parts! Truck drivers come from all around to stop here. The burgers are famous but also try the awesome curly fries and pop in for breakfast burritos. They are the down and dirty greasy best! You will not regret it! We usually order to go but they have a cute little patio on a pretty day. 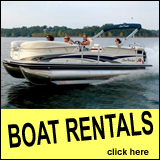 2- Want to rent out a wake/ ski boat for the day? Or maybe hire a captain to take you out and teach you how to wake surf ???? or just tour our beautiful lake? Sunset tour anyone? We got that! And they can pick you up right at your own private dock! Just let me know if you are interested and I can give you their information. 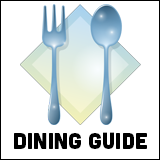 3- Ginger Brown's Old Tyme Restaurant- go here HUNGRY! Country cooking at its best. Greasy spoon, stick to yo ribs, home cooking. Great breakfasts and lunch. World famous for their cinnamon rolls that are the size of your face and pies that are awesome. 5 minutes away. 4- Imponente- great little Italian spot owned by the sweetest little family you will ever meet. Very cool, giant stone pizza oven where you can watch Dean creating his masterpieces. Be sure to try the Pizza and the pepperoni pizza roll. Just 5 min. away. If you stop by, be sure to tell Dean and Rochi HI! 5- The Point- cool little bar/restaurant overlooking the lake. This is basically right across the lake from the cottage so you can boat there or paddle board there for lunch like we often do! Or you can easily drive there. The food is good, typical lunch food and the view and outside bar atmosphere are tons of fun. They usually have live bands on the weekends. 6- Lake Worth Sailing Club- awesome sailboat club that has regular races, Regattas and Catalina competitions. They are beautiful to watch! The club is one mile away on the same lake so perfect for people coming in to participate in the races. 7- Lakeside Paddle Company- just one minute away and you can rent a paddle board, join a sunset tour, a sunrise tour, take a lesson, join a paddle board yoga class (my favorite!) or take a full moon tour. It's an absolute blast! 8- Fort Worth Nature Center and Refuge- only 3 miles away - this is an absolutely beautiful, peaceful 3,000 acre preserve with 20 miles of hiking trails, plus buffalo, gators, deer & a myriad of birds and wildlife. These trails are amazing, diverse and tons of fun. 9- For those wanting to release some aggression try Fun on the Run Paintball Park! It is the oldest and by far the largest paintball park in Texas. This place is a blast and 5 min away! They have very cool wooded park games with all kinds of buildings to hide in and defend and you can rent everything there! They also have night ball and host competitions. My son learned to play paintball here and competed nationally as he was growing up! Family run so tell Brock and Natasha HI when you stop by! 10- Marion Sansom Park- Hiking & mountain-biking trails through forestland with a scenic waterfall & lake vistas. This area is awesome to explore!!! The bike trails are challenging with lots of hills and beautiful views right overlooking the lake. We love to hike all over this area. Go, get out and soak in the beauty of our lake! 11- Fort Worth Kayak Center- our lake is so cool to explore so if you want to get out on a kayak try this place for a $40.00 Kayak Rentals to be delivered to the Fort Worth Nature Center. Please be sure to call and schedule an appointment. Our lakehouse is amazing for business retreats, family reunions, and couples retreats! The backyard is huge and perfect for outdoor games by the lake! There are multiple seating areas, dining rooms, and a massive kitchen with a 16' island to gather around in the mornings. 3 individual rooms with King beds, and a bunk room with 3 Full, and 2 Twin beds all with Tempurpedic mattresses. Enjoy coffee & wine on the balcony, or fishing off of the private dock. The property is over 2 acres large, very quiet, and has a private gated entry. The Main house is 3700 Sq/ft with 3 Bedrooms, a huge kitchen and dining room as well as two large living areas. Every bedroom in both houses has it's own bathroom, and none of them are connected to each other so it makes it perfect for multiple families. Every bedroom in the house has a view of the lake! The downstairs living area is an awesome place to hang out with your family. There is seating for 12 + a grand piano and a 70" 4k TV. It looks out on to a patio with an outdoor seating area as well as an outdoor dining area. The guest house is attached to the main house and has a full kitchen, living, and bathroom. -------------------- Video: There is a 60" Flatscreen in every bedroom and two 70" 4K TV's in the main areas. Audio: The entire house is wired with SONOS, so you will be able to enjoy music throughout the home and outside during your stay. Internet: We had AT&T run Fiber Internet to the house so you shouldn't have any problems getting great download speeds! It's a delightful visit in this condo on the lake. The beautiful furnishing and design throughout the home complete the scenic lake stay. Walk to the water and cook steaks on the grill as your kids play in the lake. Kayaking is also available along with an array of other water toys found in the wet storage room. Jet skis and water trampoline available for an additional charge. Small crated pets are welcome to stay in one of the bedrooms. This listing includes the following: *3 Bedroom/3.5 Bathrooms with a loft (considered one of the bedrooms). *Also included is a living room with an additional private patio, full kitchen, and dining area. *3 Outdoor patios including a lovely private outdoor patio and entertaining area that is accessible from the loft. *There is an option of pulling out the couch and turning it into a full sized bed. There are 7 single cots available as well as a closet converted bed that will easily sleep 2 small children or 1 older child. Water Rentals: Water toys and items in the wet storage room are available to all guests at no additional charge. We only ask that the items are reserved so that they can be enjoyed by all. Items included in the wet storage room at NO additional charge: -life jackets in various sizes -large raft that will seat 5-8 people -multiple child sized rafts and floats -2 kayaks and oars -body boards Items that can be rented for an additional charge: -Water trampoline - $25/day (must reserve in advance) -Jet ski Option 1: Reserve 2 jet skis for $300 for 3 hours (9-12) (12-3) (3-6) -Jet Ski Option 2: Reserve 1 jet ski for $200 for 3 hours (9-12) (12-3) (3-6) Let us know if you have any questions! We are happy to accommodate in any way that we can. 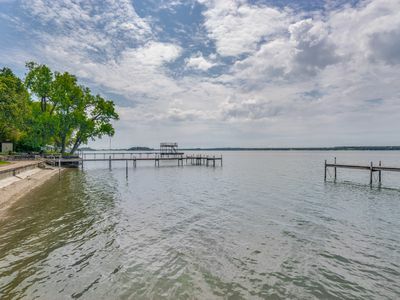 This home is a great place for relaxing time on the lake! 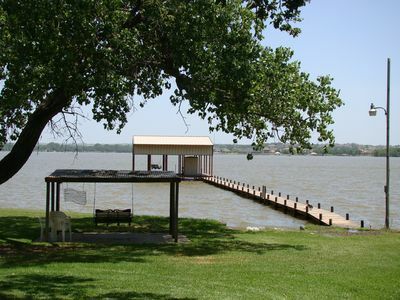 The backyard has direct access for swimming or boating at Eagle Mountain Lake. Perfect for families with children as the lake is fenced with multiple gates for lake access. The backyard is beautiful with a large green lawn for play and rest. The family room and dining room overlook the lake with large windows. The home also has a screened in porch complete with porch swing. Four bedrooms. The Master with a king bed and ensuite bathroom. Two additional bedrooms with queen beds. Also a bunk room with three bunk beds with twins beds. Three bathrooms. One bathroom with a tub/shower combo. Two additional bathrooms with showers. Kitchen has updated appliances. All the kitchen supplies you could need for a week or weekend away! This is the perfect location for large or multiple families. This property is our family lakehome for over ten years. As our children are getting older, we just cannot make it "out to the lake" as often as we'd like. We hope that others can enjoy while we are away. Who wouldn't prefer staying in a 3 bed / 2 bath home with a pool rather than at a hotel? This home is over 1,200 sq feet and located in the heart of Ridglea North and off of historic Camp Bowie. Just minutes from the popular West 7th area, Sundance Square, museum district, legendary Fort Worth Zoo, Trinity Trails, parks, and Magnolia Historic districts. Home includes my personal recommendations for great dining adventures and the must-see attractions of the area to ensure you get the most out of your time in our beautiful city. Enjoy two flat screen TVs with cable and blueray players. Both Blueray players have access to the free WIFI and you can connect to your accounts to stream your favorite programs from Netflix or Amazon. Beds are super plush and comfy for the best nights sleep you've had in a long time. WIFI is available for all of your tablets, laptops and accessories. 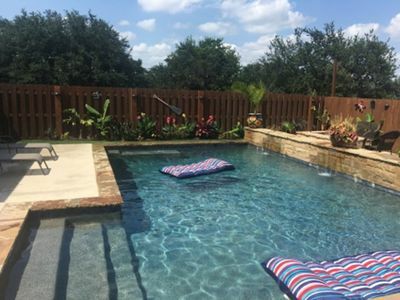 The property is surrounded by a 9' privacy fence to ensure your quiet and private enjoyment of the pool and lovely outdoor area with plenty of shade, as well as covered parking for your car. Pool and hot tub are not heated and subject to seasonal variations in temperature. Check in instructions are provided typically three days prior to your check in. The home is on a combo lockbox so there is no need to exchange keys. If you need location or other specifics for travel arrangements please feel free to email me. Enjoy absolutely stunning views of Eagle Mountain Lake and the infinity pool in this very spacious home with an open floor plan ideal for entertaining. Unwind with a cocktail and watch the sunset from the upstairs deck. PERFECT for a weekend getaway, family reunion or girls/guys trip!! There's surround sound throughout the home, as well as poolside by our luxury outdoor kitchen. The kids will fall in love with the upstairs game room with pool table and fuse ball, or relax with a movie in the oversized media room downstairs. The 4th bedroom is a secret, hidden room intended for the kids only! (There’s a narrow spiral staircase to access it.) On-site gym and very large spa-like master bath. The backyard is the perfect place to relax with friends and family. 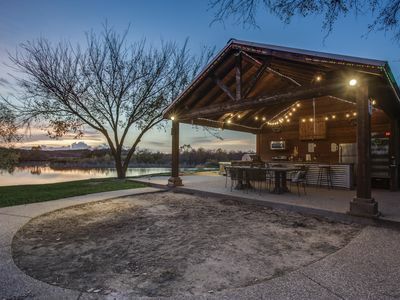 Grill on the outdoor kitchen while you enjoy a drink and watch the sunset over the lake. You will not be disappointed by your stay here! 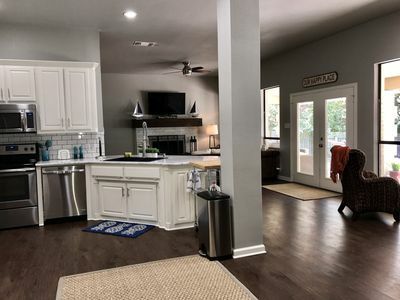 "Amazing APRIL Specials @ this relaxing, 1 acre Treasure"
New totally remodeled designer 3 bedroom 2 bath house located in a quiet neighborhood across from Shady Oaks Country Club. Just a few miles from TCU, Will Rogers Coliseum, Colonial Golf Tournament, NAS JRB, West 7th St., and the Stockyards. 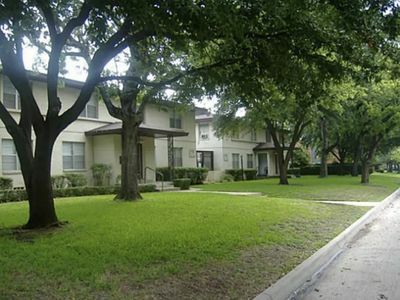 Located minutes from the Trinity Trails and in the new exciting River District. This 'Happy Home is only 30 min. away from AT&T Stadium, Globe Life Park, Six Flags over Texas, DFW Airport, & Texas Motor Speedway...….close to anywhere you want to be! Perfect for a quiet weekend get-away with friends or for some family quality time. Spread out and relax. 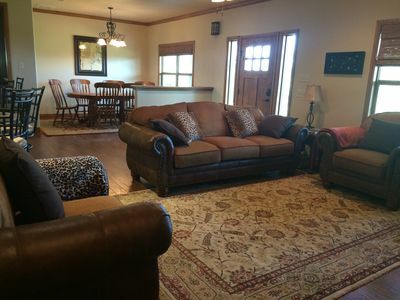 This custom, ranch-style home sits on 100 acres. Plenty of room to park your animal trailers, for those in town for the Stock Show or other Live Stock related events. Watch the goats from the back porch or enjoy breath-taking sunsets from the front porch, which spans across the home. 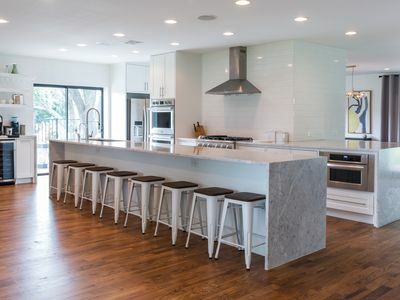 The house features Austin stone exterior, open concept, hardwood and tile flooring throughout, granite in kitchen and bathrooms, fully-stocked kitchen with Stainless Steel appliances. The home is also equipped with a tankless water heater, a water softener and R.O. filter for drinking water. 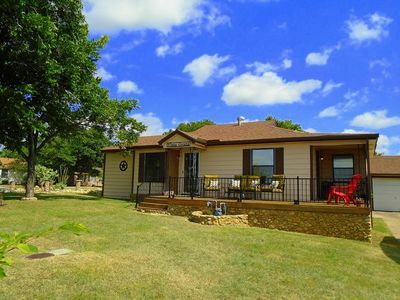 Close to Mineral Wells State Park and hiking/biking trail. Just 15 miles to Weatherford or Mineral Wells and 45 miles to Fort Worth. NO WIFI IS PROVIDED. Wireless Reception may vary depending on your service provider and other factors. FLAT RATES ARE BASED ON AN OCCUPANCY OF 1-4 PEOPLE. CLICK ON 'Rates' FOR DETAILS. NOT AVAILABLE FOR EVENTS, GATHERINGS, GROUPS OR PARTIES. AVAILABLE ONLY FOR OVERNIGHT LODGING (2 night min.) WITH A MAXIMUM CAPACITY OF 8. FIRM NO PETS POLICY AS A CONSIDERATION TO OUR GUESTS WITH ALLERGIES. 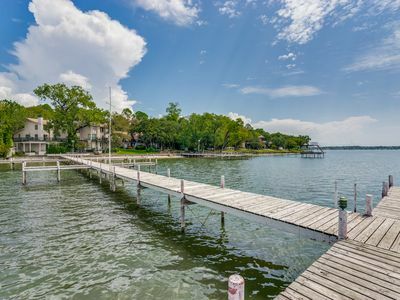 You'll think you've left Texas and found paradise when you arrive at this lush location right on the lake. This beautiful log home is in a secluded area with no neighbors across the street, just more trees! As you enter the 1.5 gated acres, you'll be amazed by the 130 oak trees that reach upwards of 60' in the air. 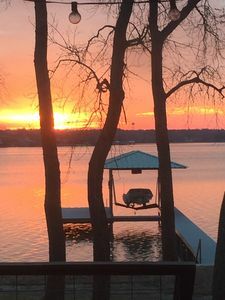 Enjoy the breezes off the lake while rocking or swinging on the 46' porch, or take a walk down to the waterfront gazebo swing or covered dock. 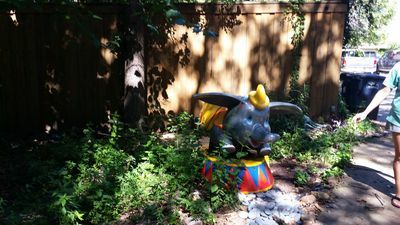 Even though you'll be only 30 minutes from Fort Worth and 60 minutes from Dallas, you will feel transported to the enchanted forest on the lake. Keywords: Texas lake house vacation rental,log home,lakefront,waterfront,summer,fall, winter,spring,honeymooners, scrap booking retreat venue,quilters, Eagle Mountain Lake, Azle, Fort Worth, Nature Center, Stockyards, Sundance Square, Dallas, Weatherford, Mineral Wells, Bridgeport, Lake Worth, Texas Motor Speedway, DFW Airport, boating, fishing, small family gatherings, ladies weekends. 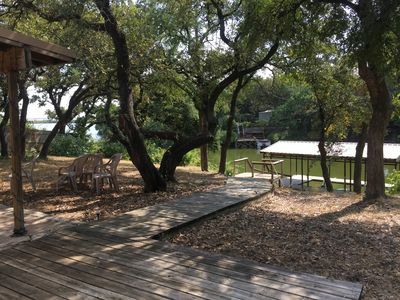 Beautiful log home with loft, open water, cool breezes, secluded, private, park like atmosphere, large porch with rockers and a swing, gazebo with a swing at water's edge, covered dock, boat ramp, gated entrance, minutes from A&M Gardens. NOT AVAILABLE FOR EVENTS, GATHERINGS, GROUPS OR PARTIES. AVAILABLE ONLY FOR OVERNIGHT LODGING (2 night min.) WITH A MAXIMUM CAPACITY OF 8. FIRM NO PETS POLICY AS A CONSIDERATION TO OUR GUESTS WITH ALLERGIES. This adorable quaint southern charmer has tons of character. Minutes to Downtown, TCU, Stockyards, Museums, Nascar, etc. Great backyard, relax & enjoy your stay. 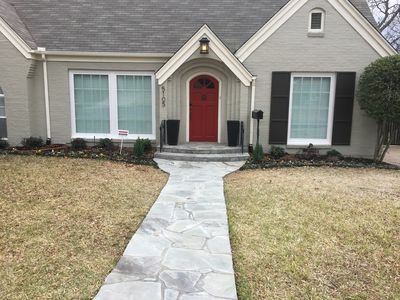 Adorable southern charmer home is very quaint and cozy. The Master is quite roomy with an incredibly new very comfortable queen bed and a work area/desk. The 2nd bedroom has a Double bed as well as Bunk beds (There is no TV in 2nd Bedroom). One Full bathroom located in the hallway with a tub/shower (this is the only bathroom in the bungalow). The living room is cozy & spacious with a large comfy couch. A separate dining room that seats 6, and a Quaint kitchen with all of your cooking needs including pots, pans, dishes, microwave, etc. Laundry room with a full size washer and dryer, Iron, & Ironing board located off the kitchen. The large and spacious private back yard has a very nice patio with Pergola for relaxing, and a picnic table for your enjoyment. 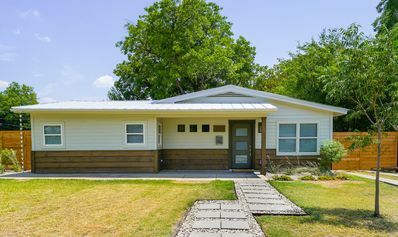 This bungalow is small but has lots of character. Includes wifi and direct tv. Excellent Location!! AT&T Stadium is about 30 minutes away. The Stockyards are 8 minutes, downtown Fort Worth is 10 minutes, TCU about 20 minutes. 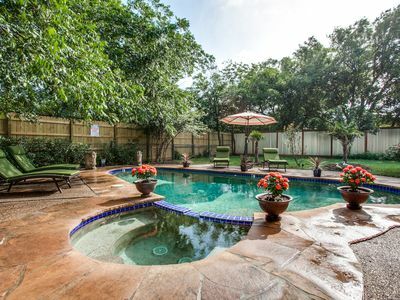 TCU - 3 miles , 10 minutes from FTW Stock Show and Rodeo going on right now Jan to Feb 2019 Near Colonial Golf, TCU -3 miles, 3 world class art museums, Ft. Worth Zoo, Arboretum, Botanical Gardens,Japanese Gardens. Easy drive to Stockyards & downtown. 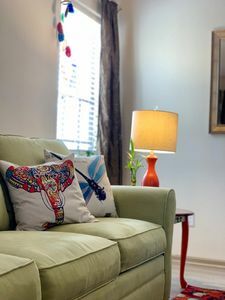 Eclectic Decor and cozy comfort! Minutes from downtown. We have a wonderful creek to enjoy a little bit of nature in the city. It s a home away from home If you need anything please call or message Come join us for a delightful experience. Cool and comfortable 4 bedroom house, comfortable beds, kitchen with microwave, oven and refrigerate as well as dish washer, washer and dryer. Very close to TCU 4 miles ( go frogs ), tanglewood 3 miles, clear fork 3 mile, downtown 10 miles, will roger auditorium 7 miles, stockyard 15 miles, FW zoo 6 miles. House has private swimming pool, private media room with projector. Private parking for at least 4 cars. Spacious leaving room. Perfect for small celebration as long as no noise. You’ll love my place because of The location, the ambiance; The entire 2,100 sq. foot home is all yours. Great if you want space for yourself with plenty of space for your family to spread out, 2 very large living rooms. The 1st living is great for reading, studying, computer work, playing board games etc. while the back spacious living room has a TV, DVD player with a selection of movies and a built in private office. 3 Bedrooms, The Master bedroom is on one side of the house with a very comfortable Queen bed & TV, while the other 2 bedrooms are on the opposite side. The 2nd Bedroom has a Queen bed and TV, while the 3rd bedroom has 1 full bed & 1 twin bed (No TV is in this bedroom). All bedrooms have large walk in closets and dresser drawers. The dining room is off of the kitchen. The spacious kitchen is fully equipped with all pots, pans, dishes, microwave, oven, etc. There is a full size washer & dryer as well. You can even walk 2 houses down to a small local burger place (J's Burger Casa) that makes great burgers and street tacos while you wait. My place is good for couples, business travelers, and families (with kids). Close to Restaurants, family-friendly activities, nightlife, TCU 20 minutes, Stockyards 8 minutes, Naval base, Nascar, Downtown Ft. Worth 10 minutes, Zoo, Botanical Gardens, Billy Bobs, Will Roger's Auditorium, AT & T Cowboys Stadium (30 Min. ), Rangers Stadium (30 min), etc. Fabulous Updated House!! Convenient to everything in Fort Worth! TCU, UNT Medical Center, Rodeo, Cutting Horse Events, Country Clubs, Stockyard, Museums, Zoo, Downtown, Cowboys Stadium, Colonial Golf Tournament, Cook Children"s Hospital, Hospital District & More! High End Furnishings, Keyless Entry, Wifi. New Stainless Steel Appliances, Updated Baths. Huge Outdoor Deck. Our house has been rented by several local families that need a high end house to live in while they are in-between properties Long Gated Drive great for Horse Trailer. (Approx 60 feet .behind gate) Contact us with any questions. Everything needed for extended stay in Fort Worth. The TX Vista Grata Southern Charmer is easily accessible, and quick to the highways. Amazing Unobstructed Views from the Front Deck. Private backyard, very relaxing. Location, location. 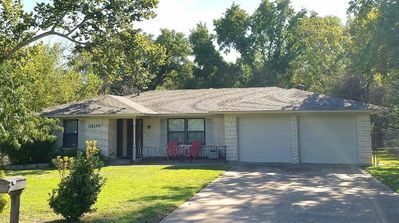 Minutes to Downtown Ft. Worth, TCU, Stockyards, Museums. Easy access to parks, nascar, six flags, lakes, shopping, dancing, the Stockyards, Convention Center, Ballpark at Arlington, Dallas Cowboys Stadium, Zoo, etc. 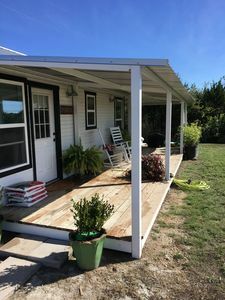 Adorable home on the hilltop is very quaint and cozy with Amazing Views from the Front Deck for a peaceful relaxing stay. Entire home is all yours. The Master Bedroom is small and cozy with a very comfortable queen bed & Flat screen TV. The 2nd bedroom has 1 Full size bed as well as a twin bed & Flat screen TV. One Full bathroom located in the hallway with a tub/shower (this is the only bathroom) in between the 2 bedrooms. 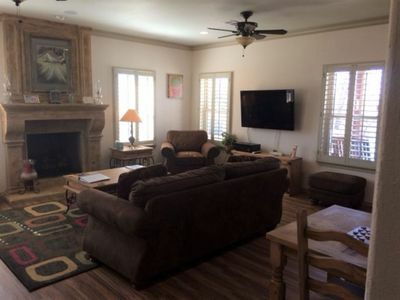 The living room is cozy with an electric fireplace & Flat Screen TV. A large separate dining room that seats 6 to 8, and a work space / desk. Complete kitchen with all of your cooking needs. Stackable washer and Dryer is in the Garage, and an Iron, & Ironing board for your use. Private back yard and a deck off the Front that has Amazing Views as this home sits on a hilltop. Very relaxing. Check out my other listings nearby as well as a few by AT&T Stadium in Arlington, Texas. Still Waters Cabin sleeps 8, 2 down and upstairs loft sleeps 6 single beds. Full kitchen overlooks fishing pond. Large patio and access to pool, half court, walking trails. This is the ideal mini retreat for families, friends, small groups. Grill, firepit, and many other hidden amenities to find. Bring your own fishing pole and bait if you want to fish. We provide the space and serenity!!! Newly furnished 2 bedroom/ 2 bath condo style apartment. Located in the south western part of Fort Worth in the Cityview area. Just minutes away from Benbrook Lake, Hulen Mall, Downtown Fort Worth, Medical District, NAS Air Force Base, LMCO & TCU. This property offers all the luxuries of a home away from home with dining, shopping in your backyard! Fantastic place for those building/ buying a home, traveling medical, relocation, military transfers and contractors new to the area. Send us a note! We would love to discuss this location with you. Grandpa's Farmhouse! (Includes a 42 inch tv with Directtv & NFL Sunday Ticket!) New ROBERT REDFORD film "Old Man and the Gun" partly filmed at the ranch! See photo WE HAVE THE ONLY RAPIDS ON THE BRAZOS RIVER- which make for one of the most relaxing sounds in the world. Kayaks (and tubes in the summer) are provided. It's like the Brazos version of Shangri-La (check out our video by clicking "VIDEO" at the top of the cover photo). The white powder islands of sand are perfect for exploring for critter tracks and building sand castles. The many fun activities at the FF River Ranch make it an ideal spot for family gatherings or retreats with friends! It's fall...bring the s'mores for the fire pit! 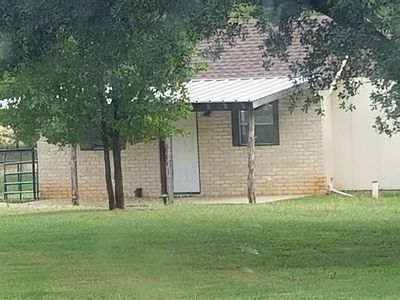 (A portion of your rental fee will be donated to Tarrant Area Foodbank for the less fortunate) WILDLIFE Your house is a mile off the road and deep into the property; the nearest neighbor is over a mile away. 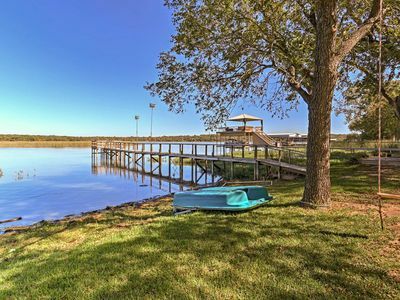 The BRAZOS RIVER flows through the property and is an easy 3 minute drive/15 minute walk from the house. You’ll see deer, wild turkeys, birds of all kinds, and other wild things. After grilling your favorite dish, don’t miss the western sky as it comes alive with a million twinkling stars while the coyotes and owls serenade you. YOUR HOUSE is a charming 50+ year old farm house (two bedrooms, two baths-- 8 beds) that we have updated—and continue to update. It has a WRAP-AROUND PORCH with your grill and picnic table in the back yard--on the west side, the perfect place to take in the sunset in the big western sky. WE ALSO NOW OFFER A SHUTTLE WITH KAYAKS OR TUBES (summer) UP TO DENNIS BRIDGE, which gives you about a 2 hour float trip back to the ranch! (When you book please let us know that you'd like this service-- a small charge applies). BEDS With the queen sofa bed, there are 8 BEDS in the main house. The barn next door with its 3000 square foot second floor has been turned into an indoor/outdoor space and has sitting areas and rugs, and functions as a third bedroom with 4 glamping (ie very nice) roll-out beds for those who want to listen to the sounds of the night. TO DO We have carved out miles of virgin hiking trails and easy walks; there are outdoor games like horse shoes; croquet; frisbees; a fire pit; porch sitting; bird watching; and three ponds for fishing. The ranch also has the only known Fairy Forest in the region!-- build a fairy house out of natural elements-- this keeps the fairies coming back! THE RAPIDS are the perfect place to sit (chairs provided) with your favorite beverage; or fish (just below the rapids is a pretty good hole). Or kayaking, of course (four kayaks and several tubes are provided). Also, bring your mountain bikes. COMANCHE HISTORY Go hunting for arrowheads and petrified wood. The COMANCHE were quite active up and down this part of the Brazos even when the earliest settlers arrived around 1850, and until the Comanches' eventual conquest by the Texas Rangers and their Colt pistols around 1870; we have found lots of flint and some arrowheads on high places here. Going further back in history, the Double F River Ranch has an abundance of petrified wood; they say that if you have fossilized sea shells you were under water, but if you have petrified wood you had land creatures. Hunting for petrified wood is a fun adventure here. (But leave them for the next person to discover!) Weatherford is only 10 minutes away and Granbury is only 20 minutes away; both have great restaurants. And this close to Fort Worth, you could actually commute and have a ranch to come home to at night-- note the lower pricing mid-week! Sundancer-The Luxury Tent on the Brazos! The Premiere NTx Glamping Experience! Sundancer is a luxurious safari tent with central air and heat, full bath (with over-sized shower), luxurious bedroom/linens, and so much more! It's on a 300+ acre working cattle ranch, with a quarter mile of river frontage! We are pleased to introduce Sundancer, THE MOST AMAZING AND ROMANTIC FAMILY GETAWAY in Texas! (Be sure to see our short video-- scroll to 3rd pic to the right). (Also see the wedding photos from the bluff overlooking the river!) The Fort Worth Star Telegram called Sundancer "The Best of Both Worlds" ie of nature and comfort. The Travel Channel (online) called it "Irresistible!" Come see why! (And note our lower weeknight rates!) 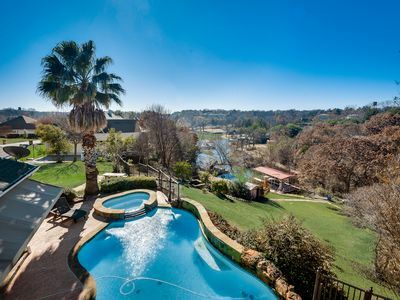 Sundancer sits on a magnificent deck overlooking Comanche Creek (complete with its own waterfall). It is deep inside the Double F River Ranch, which is home to longhorn and Angus cattle. "A cool safari getaway" - 360 West Magazine Some activities: WE ARE NOW OFFERING A SHUTTLE UP TO THE BRIDGE WITH KAYAKS, FOR AN EASY ONE HOUR FLOAT BACK TO THE RANCH! 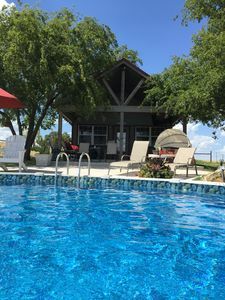 (Small charge applies) - Relax and read a book on the deck while you listen to the waterfall - Weatherford is 10 minutes away, and Granbury 20 minutes. - Build a fire in the fire pit - Grill your favorite steak - Enjoy the Japanese soaking tub (one of the only wood-fired hot tubs in America!) - Hike the easy one mile trail to the river - Play one of the many games we provide or work a puzzle, or zone out while coloring one of the adult coloring books (but please stay in the lines!) - We have the ONLY fairy forest in Parker County; build a fairy house out of sticks and branches, which keeps the fairies coming back! - THERE IS NOTHING ELSE LIKE OUR STRETCH OF THE BRAZOS RIVER. There simply are no other places on the river where there are SEVERAL SETS OF RAPIDS! - Kayaks are provided, or float in one of the tubes (see video of our tubing at vrbo.com/706433). Or (my fave) enjoy a beverage while sitting IN the rapids in one of the light plastic chairs, as the river gurgles and splashes around your feet. Great sunsets from the river! - Hunt for animal tracks on one of the white sand islands, or build a sand castle. - Fish just below the rapids - Relax on the bluff overlooking the river, and enjoy watching the wildlife - Hang out in the 3000 square foot second floor room in the barn - Rent the farmhouse too (vrbo.com/706433), which sleeps up to 12, and create a larger friend/family experience - Go hunting for arrowheads and petrified wood. A portion of your rental fee will be donated to the Tarrant Area Food Bank for the less fortunate. Sundancer is for re-discovering love and adventure! It is a couples' paradise, and is also perfect for a personal retreat. A story: My photographer suddenly stopped shooting, turned, and whispered, "Do you have baboons here?!" I chuckled--"Those are owls, and they are my favorite sounds of the night," I replied. Because of Sundancer's fabric walls, at night you will hear owls, turkeys and coyotes serenade you at night. In the morning you'll awaken to a thousand birds singing to you. You’ll see deer, wild turkeys, birds of all kinds, and other wild things. The Comanche were quite active up and down this part of the Brazos when the earliest settlers arrived around 1850, until the Commanches' eventual conquest by the Texas Rangers and their Colt pistols around 1870; we have found lots of flint and some arrowheads on high places here. Going further back in history, the Double F River Ranch has an abundance of petrified wood; they say that if you have fossilized sea shells you were under water, but if you have petrified wood you had land creatures. Hunting for petrified wood is a fun adventure here. (But leave them for the next person to discover!) Weatherford is only 10 minutes away and Granbury is only 20 minutes away; both have great restaurants. And this close to Fort Worth, you could actually commute and have a ranch to come home to at night-- note the lower pricing mid-week!
? Private 5 Star suite? Near DT, King/Queen 2 BR ? Spacious Newly remodeled 2 bedroom, 1 bath in the Most desirable part of town. 50 inch 4K TV, High speed internet, Netflix. Modern office area. Premium Bed ??. This apartment has gated and covered parking available. There is wood flooring with tile in the kitchen and bathroom. Outside there is a covered little porch. The closets have built in rods and shelving. Washer/Dryer on site. Covered parking available Arlington Heights sits roughly 4.5 miles from downtown Fort Worth just off I-30, making it simple for commuters to travel into the city for work. Those seeking apartment rentals can also use this proximity to I-30 to travel throughout the Metroplex, including making the approximately 36-mile trip into downtown Dallas. For those who wish to stick closer to home, numerous cultural, dining, and shopping options abound right around the Arlington Heights neighborhood. The Fort Worth Museum of Science and History and the Kimbell Art Museum sit only blocks away. Samson's Market Bistro, an Ethiopian eatery on Camp Bowie Boulevard, and Thai Terrace, a Thai restaurant on West Vickery Boulevard, give locals unique dining options, while Flying Fish on Montgomery Street serves up can't-miss seafood. Shoppers have local options available when they don't feel like heading to Fort Worth, including Wrare and Giddy Upcycle, both on Camp Bowie Boulevard. Locals flock to Wrare for home goods, stationery, and furniture, while they turn to Giddy Upcycle for high-end used clothing and antiques.